Alex commented on the latest developments in the Vatican for German international broadcaster Deutsche Welle. His op-ed piece is available in English, Spanish and German. 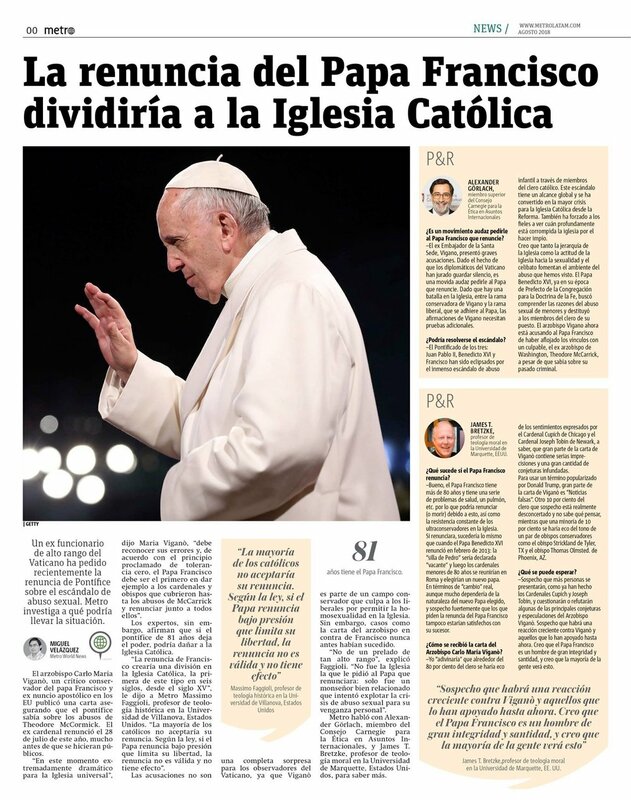 He also was interviewed on that subject matter by Readmetro, a gratis newspaper that is distributed in many Latin-American countries and the United States of America (photo).